Casting services in Cape Town & Gauteng. For consumables and casting services. 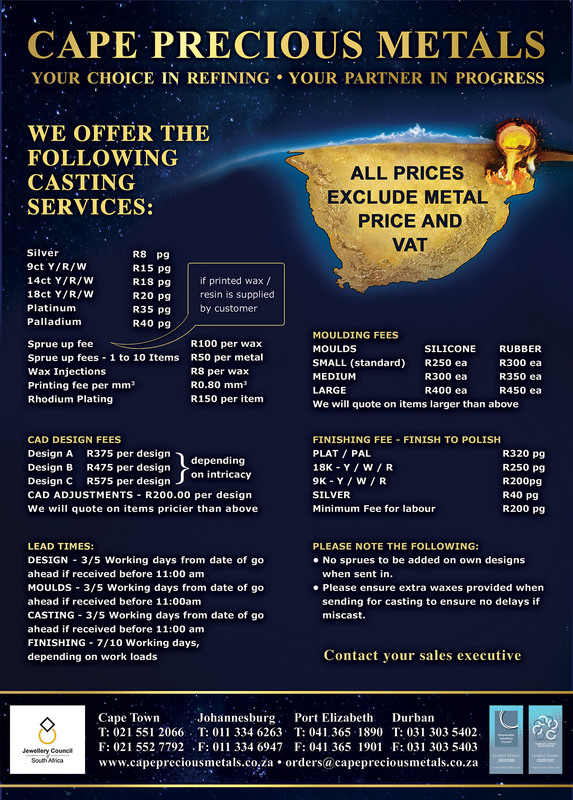 For casting, setting and finishing off services, delivers twice a week to KZN and Gauteng area.